Are you living in a cramped quarters with no space to breathe? Do you feel overwhelmed by all that clutter? Would you prefer to do it yourself than pay a professional organizer? Get ready to add order to your home-one room at a time! 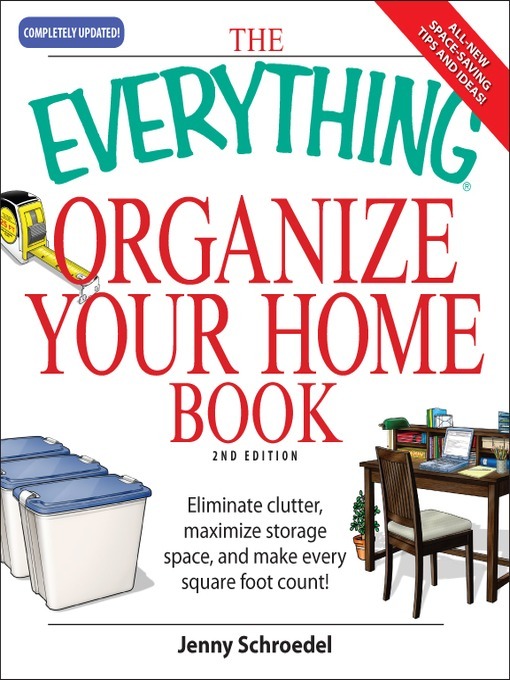 With The Everything Organize Your Home Book, 2nd Edition, you'll learn how to: Set up a home office anywhere; Maximize closet and shelf space; Discover alternative storage ideas; Sell what you no longer need or want; Combat kid and toy clutter; Organize the garage, attic, car, and outdoor areas. This fully revised and updated second edition proves that you can live large in even the smallest of spaces-by making every square inch count!